Horses live in every region of the world except Antarctica and the northern Arctic regions of North America, Europe and Asia. 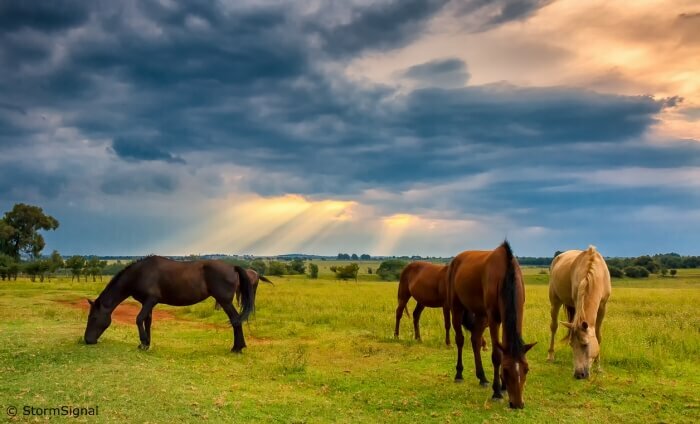 Most horses are domesticated, which means they live alongside humans. Almost all wild horses are feral horses that are descended from domesticated horses. These horses are found all around the world in many different habitats. Przewalski’s horse is the only living wild horse species that did not originate from domesticated horses. Its habitat once stretched from Germany to Russia, Mongolia and China. However, the species became extinct in the wild since 1968 and were only found in zoos and breeding centers scattered around the world, but, as of 2015, there is an effort to re-introduce the species to China and Mongolia.